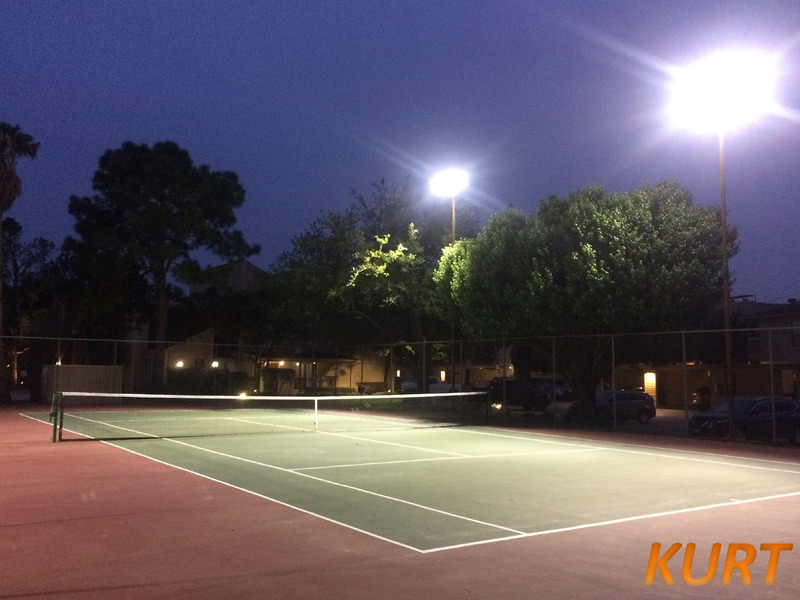 A Tanglewilde community in Houston, TX came to Kurt looking for help with a lighting solution for its newly remodelled Tennis Courts area. The Kurt team got underway first using photometric analytics to precisely lay out a lighting design that called for modern LED technology. The LED’s prescribed would ensure the exact illumination & optics performance needed across the courts. Upon design approval; Kurt quickly got to work with its installation crews to make this top recreational vision a reality! American Made LED light fixtures, materials, and precise angular optics will ensure Tanglewilde a quality, long lasting, and safe sporting experience for years to come!